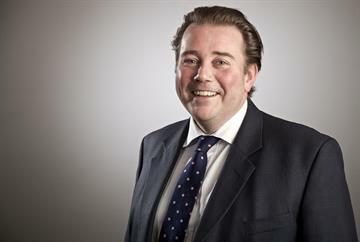 Neil Roberts looks at some of the key issues raised at the 2013 UK LMCs conference and assesses what might happen next. GPs could quit the profession in droves, practices will be destabilised, the profession will become unattractive to trainees. 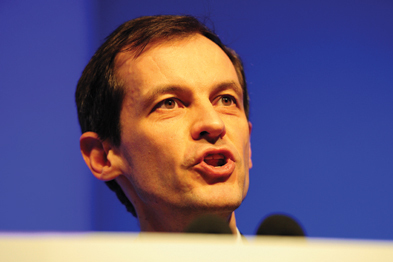 The 2013 UK LMCs conference was not short of doom-laden warnings about the future of general practice; not surprising, coming in the wake of the contract imposition and health secretary Jeremy Hunt's media assault over out-of-hours provision. 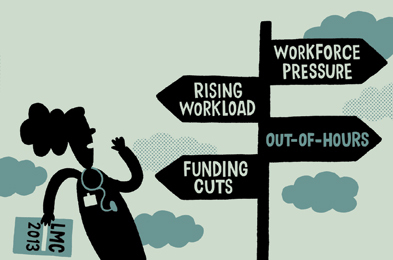 The themes running through the debates suggest a profession at a crossroads: funding cuts, rising workload, declining workforce, the contract imposition, the impact of NHS reforms, and threats of practice bankruptcy and closure. Outgoing GPC chairman Dr Laurence Buckman opened the conference with the words: 'We meet today at a critical point for the NHS and for general practice.' There was no prospect of good news for GPs, he said, 'while no-one in power listens or cares'. 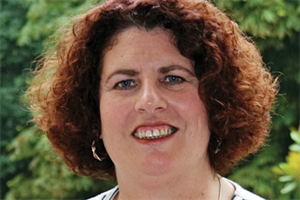 There should be a debate within the profession and engagement with patients, said Dr Buckman, over what society wants from GPs and what it will take to provide it. But RCGP chairwoman Professor Clare Gerada says that while things are tough, now is not a 'crossroads' moment for the profession. 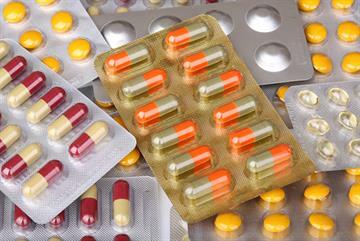 'General practice will continue. It has to,' she says. And she is cautiously optimistic about possible future policy. 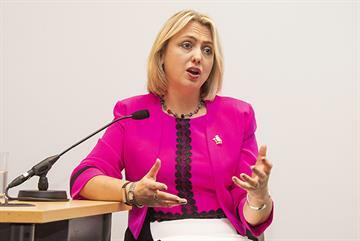 Conference called for urgent action from ministers to address the workforce crisis. Representatives voted for government to promote recruitment, support retention and lower barriers to returning GPs. Workload demand was variously described by LMC representatives as 'unsustainable', 'untenable', 'excessive', 'ballooning', 'unmanageable', 'overwhelming' and 'dangerous'. Dr Farah Jameel, a GP registrar and BMA junior doctors committee member, says she ought to be excited about starting her career as a GP, but is fed up and worried. It shouldn't be normal, she adds, for doctors to work from 8am until 8pm and then be under pressure from government to work weekends and nights. Mr Hunt's 'looming threat' to force GPs to take back out-of-hours responsibility is 'putting many people off' general practice, she adds. In his speech setting out plans for a return to 'family doctoring', Mr Hunt acknowledged GPs were working hard, 'possibly harder than they have ever worked before', and vowed to tackle bureaucracy and box-ticking which interfere with patient care. Mr Hunt continues to repeat his claim - disputed by Dr Buckman - that the 2004 GMS contract is a cause of the crisis in A&E. His solution, while short on detail, is for GPs to be responsible for 'signing off' to say they are satisfied with the out-of-hours service commissioned for their patients, and for 'named individuals' - usually a GP - to be responsible for every patient's care. LMCs overwhelmingly rejected a proposal to take back out-of-hours on condition of proper resourcing, reaffirming the GPC's policy opposing out-of-hours responsibility under any circumstances (see box, page 30). 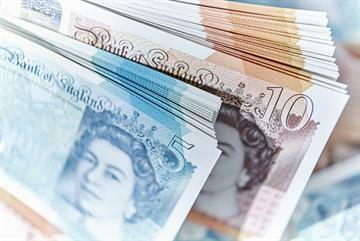 The contract imposition, attempts to siphon funds from primary care in the move to equitable contracts, and the withdrawal of MPIG threaten to destabilise, bankrupt and close practices, further erode the workforce and affect patient care, GPs warned. The problem, say GPC negotiators, is they face a government that does not want to negotiate. Behind the fiery rhetoric, though, is a sense that the GPC is preparing for more constructive work with the government. Dr Buckman told conference that Mr Hunt's speech was 'bitter-sweet'. He called on GPs not to start picking holes in the proposals, but to 'consider what we can work with'. GPC deputy chairman Dr Richard Vautrey, a likely candidate for the top job when Dr Buckman steps down next month, also points to areas of agreement with government. 'It's good to hear from the health secretary that there is concern about box-ticking and concern about workload,' he says. But he remains cautious about Mr Hunt's plans without more detail and a sign that the government is willing to reverse its approach of adding to GPs' workload. 'We need to see some practical ways of trying to address what, in part, (Mr Hunt) has done in recent months,' he says. Dr Jameel says one change that could make general practice a more attractive career would be to drop the QOF, which she says means GPs are driven by target chasing. But there are signs of government beginning to address workload, says Professor Gerada, who suggests some of Mr Hunt's recent announcements mirror RCGP policies. She says the college is also flagging up the need for 'personalised care for those who need it most' and for GPs to be involved in improving out-of-hours provision. Proposals for 'named individuals' should not be just about GPs, says Professor Gerada, but about multidisciplinary teams working together to deliver 'bespoke continuity of care for those who need it'. Dr Vautrey argues the first step is for the profession and health departments to gather data on workload. He says the last official workforce survey was in 2006/7 and that needs repeating with expanded data to measure all the non-patient contact work GPs do. It's a big task, he says, 'but until we get robust figures, it's difficult to make the government realise what it is doing is unsustainable'. Also on Dr Vautrey's map for the future of the profession is shifting resources from secondary to primary and community care, to follow the shifting workload. 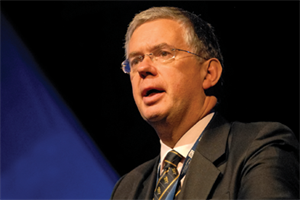 CCGs must take up the challenge for the future sustainability of the NHS, says Dr Vautrey, and politicians must face up to the 'difficult political decisions' necessary over contentious issues such as hospital infrastructure building. The next general election will be just one key to the future direction of general practice. Whether perceptions of more constructive engagement by ministers prove justified or not, the next 12 months will see new leadership at the GPC and the RCGP, and whatever is negotiated over the next year could be thrown up in the air again by politics. One thing all sides will agree is that general practice cannot and will not escape the increasing demographic, economic, political and social pressure for change. The emergency debate that LMC representatives had been itching for throughout conference came late on the second day, 24 hours after health secretary Jeremy Hunt had made his heavily trailed speech on primary care a mile away at the King's Fund. 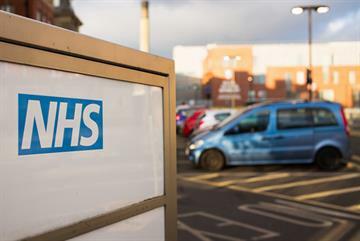 Representatives threw out an emergency motion calling for GPs to take back out-of-hours if properly resourced and rejected a motion of no confidence in the health secretary. Conference also passed a motion agreeing with Mr Hunt's comments that GPs are 'patients' champions', that NHS staff are working harder than ever and that targets are getting in the way of caring for patients. In his last speech as a GPC negotiator, Dr Laurence Buckman asked representatives to set 'forward looking' policy for GPC and called on representatives to 'think of the consequences' of their votes. During a heated and at times chaotic debate, Dr Buckman said he understood the anger and frustration of GPs, but said there were elements of Mr Hunt's announcement that GPs would welcome, and a no confidence vote would be 'attacking the person, not the policies'. 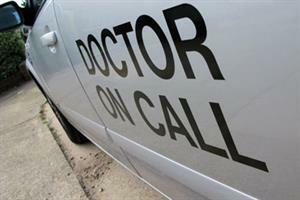 GPs lined up to make it clear there were no circumstances under which they would agree to take back out-of-hours. One said if the profession agreed to take back the service 'most GPs over 50 would resign'. Dr Marcus Bicknell from Nottinghamshire said it was 'time to call for the head of Hunt', who he described as the 'worst health secretary in living memory'. But Dr Ivan Camphor from Mid Merseyside said GPs 'need to build bridges with the government'. The no confidence vote was rejected by 60% of representatives.